Lenza Jolley is the communications manager for KeenanSuggs/HUB International, the sixth largest insurance broker in the world. 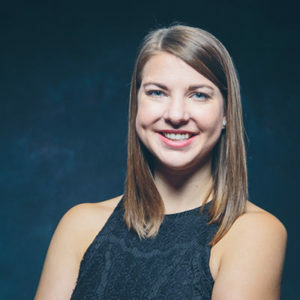 She works with more than 70 advisors across North and South Carolina to develop various types of communication vehicles designed to inform prospects and consumers about products and services offered. She is also responsible for implementing communications initiatives and projects intended for advisors and their clientele. Lenza is a seasoned communications professional, who has worked in the insurance and nonprofit industries for more than seven years. She has a bachelor’s degree in journalism with a minor in graphic design from the University of South Carolina. Lenza currently serves as president of the American Advertising Federation of the Midlands, and also serves on United Way of the Midlands Public Policy Committee. She is a graduate of The Riley Institute’s Diversity Leadership Initiative (Midlands X, 2017), through which her group established a “rainy day” endowment fund called Fund the Gap for Midlands Technical College. In her role with COR, Lenza serves as the Time for Art Gala Chair.